Uber for travel? That's what HelloGbye wants to be. NEW YORK: Travel app HelloGbye is working with Cohn & Wolfe to build buzz and raise awareness among consumers and the media before launching publicly this fall. 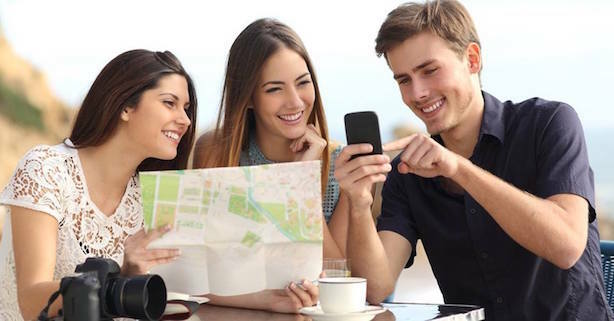 The app, which is in beta and allowing consumers to pre-register, will help users book and organize travel itineraries. The company plans to formally debut this fall in Canada and the US, but it has not picked a specific launch date. HelloGbye brought Cohn & Wolfe on about two months ago to share the brand’s story through media relations and PR, said Greg Apple, CMO of the tech company. Three firms competed for the business, added Apple, but Cohn & Wolfe stood out because of its "attention to detail," digital knowledge, staffers, and experience working with startups. Jim Joseph, chief integrated marketing officer and president of the Americas at Cohn & Wolfe, said the firm’s work on the account is "beyond traditional PR." The agency is working with HelloGbye on branding, messaging, media relations, influencer engagement, social media strategy, and content development. Cohn & Wolfe is creating content for the brand’s recently launched Facebook, Twitter, and LinkedIn profiles. Apple said HelloGbye is "looking to be the world’s most loved travel brand." "We’re positioning ourselves as an application that is designed to save you time when booking travel online, so just like people use Uber to travel and it revolutionized the way people take taxis, we want to change the way people book travel around the world," he explained. Users can either speak to or type their plans into the app to find relevant flight and hotel bookings based on saved personal preferences, such as favorite airlines or hotel brands. The company is also planning to launch in Cantonese and Mandarin in the first quarter of next year. Joseph said the agency is taking a multi-office approach to the business, with teams working together from its Austin, Texas; San Francisco; and New York offices. HelloGbye, he added, is a "great example of the client of the future" because it’s tech-based but still travel-focused, so Cohn & Wolfe has to bring together talent from a number of practices. The account will run for six months, but Apple said the company will likely expand the relationship. Budget information was not disclosed.